Gorampa Sönam Senge (གོ་རམས་པ་བསོད་ནམས་སེང་གེ་, Wyl. go rams pa bsod nams seng ge) (1429-1489) — one of the great philosophers of Tibetan history, whose works were often critical of the writings of Jé Tsongkhapa, as a result of which they were banned by the Tibetan government. At the beginning of the twentieth century his surviving works were gathered together by Khenpo Jamyang Gyaltsen and published by Jamyang Khyentse Chökyi Lodrö, and went on to form a large part of the curriculum in Dzongsar shedra. 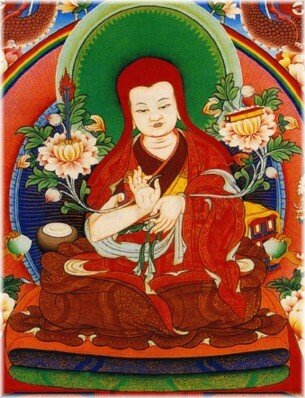 He was the sixth throneholder of Ngor Monastery, serving in that position from 1483 until 1486. This page was last edited on 26 January 2017, at 20:18.